When looking for a new car, there are many things to consider. Are you looking for something that makes a strong statement, yet gets good fuel economy and has low maintenance costs? Do you want something that is fun and enjoyable to drive? Are you mostly looking for reliability? Sometimes a car can have a mix of all three of these important qualities. The 2017 Acura MDX is a car that can fit into this rare group. Considered a midsize luxury SUV, the Acura MDX gets around 27 miles per gallon on the highway. It also has been rated high for reliability by a number of reviewers. Though it is in the luxury category, we believe it is fairly priced for everything that comes with it. It can comfortably seat 6 to 7 people and has a powerful 290 Horsepower engine. The drivetrain can be either AWD or 4WD. 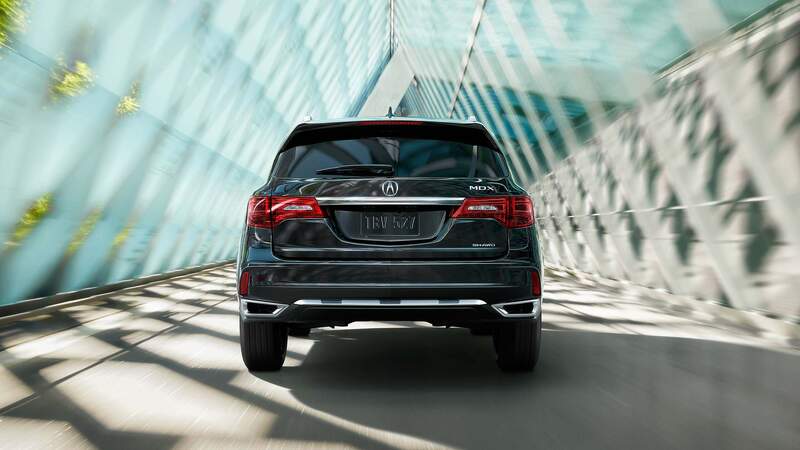 The Acura MDX stands out in the areas of comfortable drive and all-around handling. It has a suite of safety features that should make all drivers feel safe while on the road. These safety features include collision warning, active lane assist, automatic emergency braking and adaptive cruise control. Other features include a power moon roof, four USB ports, an eight-speaker audio system, a proximity key and robust climate control. 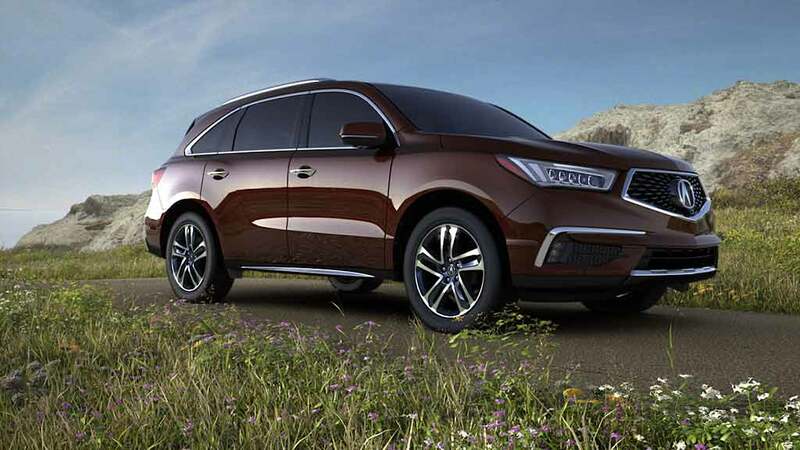 The Acura MDX comes in only one trim model; however, it does have different packages, either the technology or advance packages, which come with their own suite of features. At Acura of Barrie, we believe the 2017 Acura MDX is a nice balance of luxury, comfort, and affordability. We offer a full line of vehicles for the person interested in upgrading to a different model. We provide financing, a maintenance department and a sales team that can help you pick out the best car for your needs. Acura’s ILX comes in several trim packages: Sedan, Acura/Watch Plus, Premium and A-SPEC. The powertrain is the same for ILXs. It has a 2.4L four-cylinder engine with an 8-speed dual clutch automatic transmission with an added torque converter that adds smoothness. Its real-world fuel economy comes in at 29mog combined driving. Some of the higher trim models come with voice recognition, AcuraLink cloud-based connected car system, navigation, real-time traffic with rerouting, expanded music capabilities and further smartphone integration. The ILX makes a strong impression with Jewel Eye LED headlamps and a striking front end. The interior is comfortable and aesthetically pleasing with a high visibility windshield. The 2017 Acura ILX has a very appealing get in and drive connection not seen in other cars. It is a fun car to drive with a level of softness. It has a spunky engine and engaging with ambitious handling and a comfort-tuned suspension. The AcuraWatch Plus offers an impressive level of autonomous features. It includes a lane keeping assist system that helps keep the car in its own lane even if your hands leave the steering wheel for a brief moment. It also provides adaptive cruise, blind spot information, collision mitigation and rear cross traffic. The Acura ILX is a great entry-level luxury car, rivaling any car in its class. Buying a luxury car is a significant milestone in your life. Head over to Acura of Barrie and test drive the ILX and compare it to other luxury vehicles in the same price range. ILX makes to transition to the luxury segment more accessible. You can even decide what trim model best fits your needs and wallet. You would notice right away the ILX’s striking stylish sculpted hood and it continues to wow from the outside in. The interior is comfortable and spacious as any luxury car should be, and the trunk can accommodate several bags. Getting a new car is a big deal. You’ll be using it to complete errands, go to work and take your family on memorable vacations and family events. A 2017 Acura MDX is expertly engineered for a smooth riding experience every time you go behind the wheel. You’ll be confronted with many different choices when you make a visit to our dealership, but with our help you’ll leave with a vehicle to love for years to come. Not all SUVs are created equally. An Acura of Barrie is different from the pack because of its modern features made to enhance safety and intuitive driving. Enjoy a built-in navigation system, an impressive horsepower engine and dependable collision mitigation systems for worst case scenarios. With luxury and convenience in mind, the designers even included a DVD entertainment system to keep your kids occupied during those long road trips. We understand that most families are on a budget. Our representatives are here to create a customized payment plan you can feel secure about. No matter your credit situation, you can leave our location with a reasonable plan that won’t break the bank. Simply bring in your financial documents to get started; you can go with a longer payment plan for little money down, or put down a larger amount for a shorter repayment period. We want your shopping experience to be as enjoyable as possible. When you visit our dealership, you won’t get hounded by a sale representative who will aggressively push you to buy or withhold important information. Feel free to browse for as long as you need to for you to make an informed and confident buying decision. An Acura MDX is becoming increasingly popular as a trendy yet high-quality family vehicle. Find out what’s in store for you by visiting our location today. What is Acura Super Handling All-Wheel Drive? © 2017 Acura of Barrie. All Rights Reserved.